ABG Interlinks Ltd. offers Automatic Sprinkler System with Alarm Check Valve which are designed to initiate an alarm when the sprinkler is open. The alarm shall be initiated by water motor. 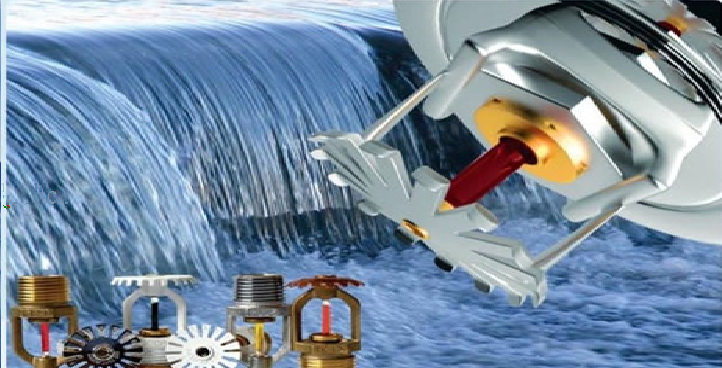 The valve assembly shall include alarm motor gong, wet pilot trim, pressure switch to initiate a alarm condition to fire Alarm Control Panel, inlet/outlet pressure gauge connections & ports with suitable pressure gauges, test & drain connections etc. with complete assembly.The key part of Automatic sprinkler system is Glass bulb sprinkler head which is used for detecting fire and controlling or extinguishing fire by spraying water automatically.Sprinkler head bursting temperature is normally 68 Degree Celsius for ordinary type. Sprinklers activate independently; only the sprinkler closest to the fire will activate. Sprinkler mishaps are generally less likely and less severe than home plumbing system problems. A sprinkler flows 10-26 gallons of water per minute. The property loss in a sprinklered home fire is a small fraction of the typical loss in an unsprinklered home fire. In the 60-90 minutes a fire department needs to respond, an uncontrolled fire will grow and spread through the home, causing tremendous smoke and fire damage. Sprinkler system is a great remedy in this backdrop. Smoke alarms can only detect a fire, fire sprinklers detect the fire and automatically control it, saving lives and property. Sprinklers allow the fire to be controlled quickly and can significantly reduce the spread of the fire as well as the damage it may cause. The NFPA & BNBC rules & standard provides guidance for proper installation & ABG Interlinks Ltd follows those accordingly. We also provide servicing and maintenance of your sprinkler system to ensure they perform as intended and function flawlessly.